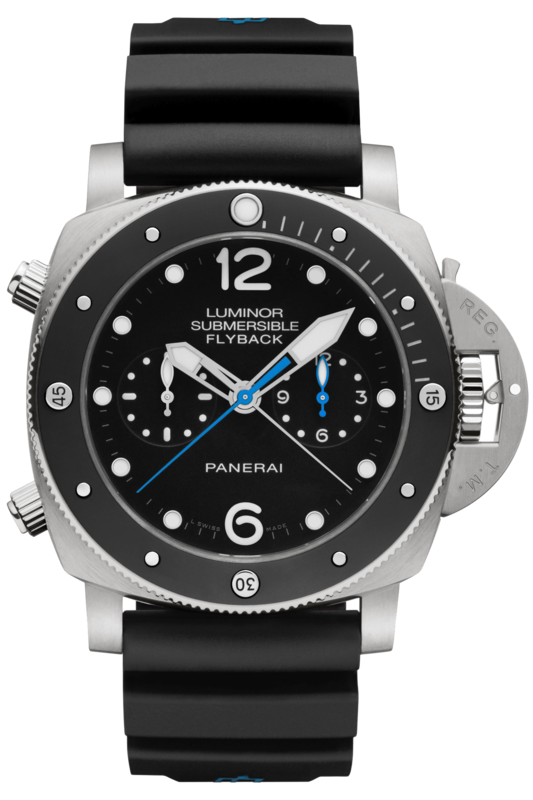 It is apparent that there was an emphasis on the Luminor Submersible line at this years SIHH2015 with the inclusion of 3 new novelties being presented. 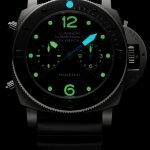 In a previous post we unveiled the new Carbontech submersible that is sure to be a hit among fans. 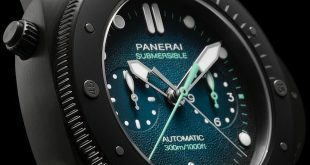 The other two Submersibles are a bit different then what you are used to from a Panerai Submersible in that they both have a flyback chrono complication built into them. 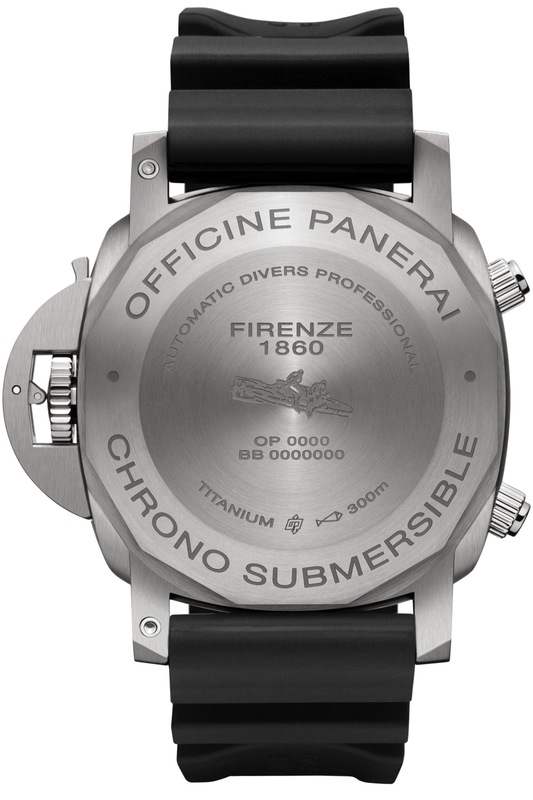 The PAM614 & PAM615 are both 47mm 1950’s Luminor Submersibles with the cases made out of brushed Titanium. 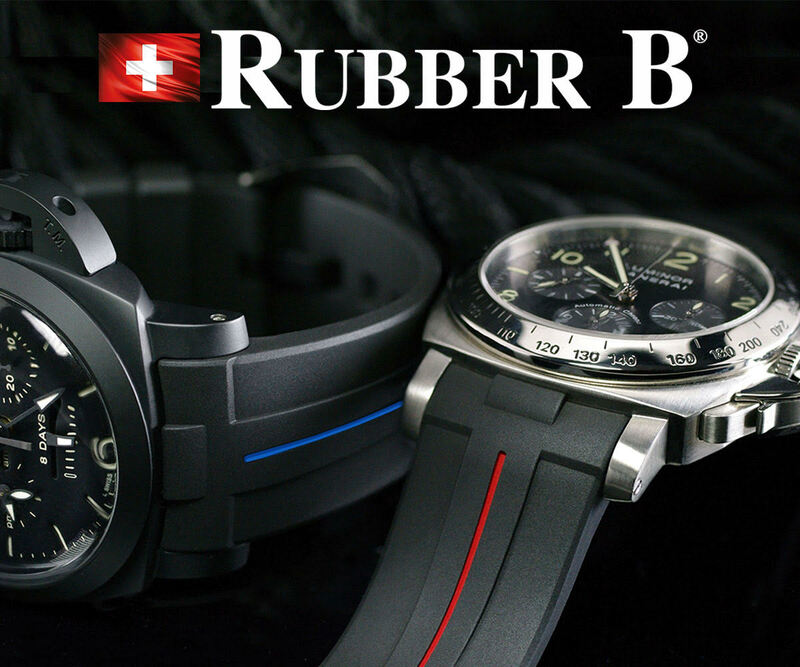 Although the core of these two pieces are very close there are a couple of subtle differences that make each appeal to their own market. 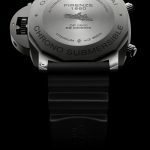 These Submersibles feature a chronograph that incorporate a flyback complication which originated back in the 1930’s as a need of the military. 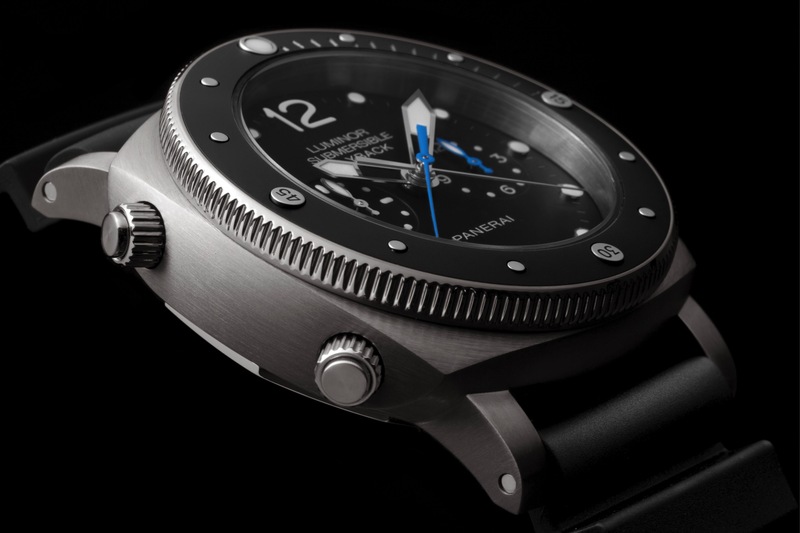 This function, also known as “retour en vol”, enables the chronograph hand that is already moving to be zeroed and instantly restarted by a single pressure without it being necessary to first stop the chronograph and zero it manually. On these Submersibles there are two buttons that control this functionality. 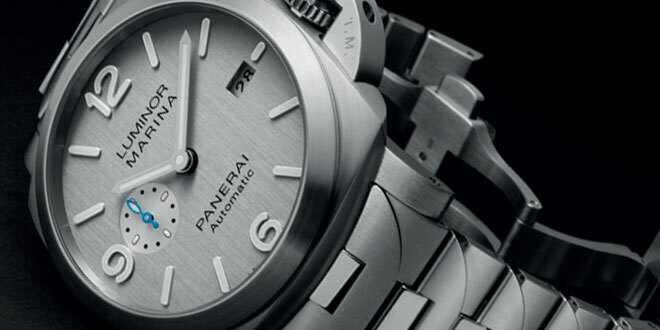 The one at 10 o’clock starts the chrono while the one at 8 o’clock controls the flyback function. 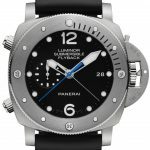 To ensure the chronograph is simple and clear to read the minutes and seconds hands are both centrally located on the dial and can be distinguished from one another by the different colors. 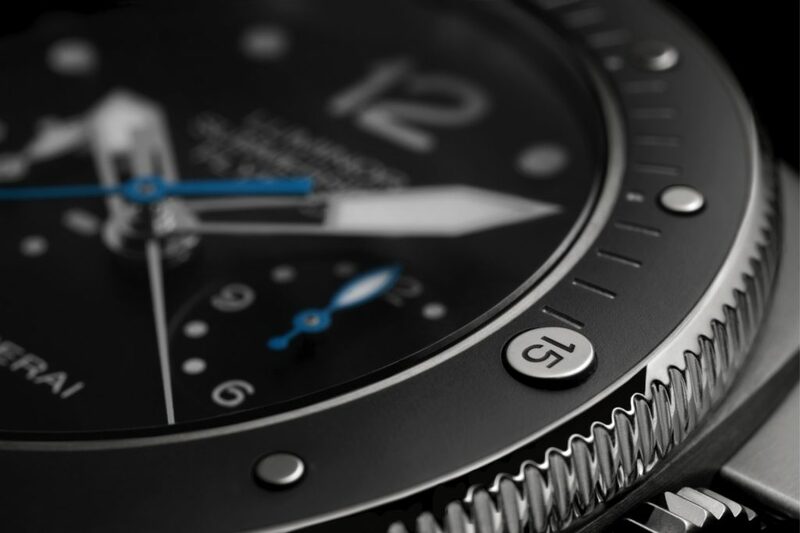 The blue hand is the sweeping seconds counter while the rhodium plated hand will measure your minutes. 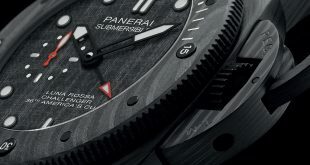 These hands are easily visible due to the contrast against the black dial on both of the submersible models. 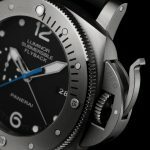 Going back to my previous statement of the subtle differences on these two models, the first is visible right on the dial itself. 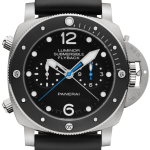 At the 3 o’clock marker, the PAM614 features a date window while the PAM615 features a chronograph hour counter. 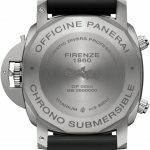 The second feature that is different, is the bezels on the two models which are used to calculate the time of immersion if you are diving. 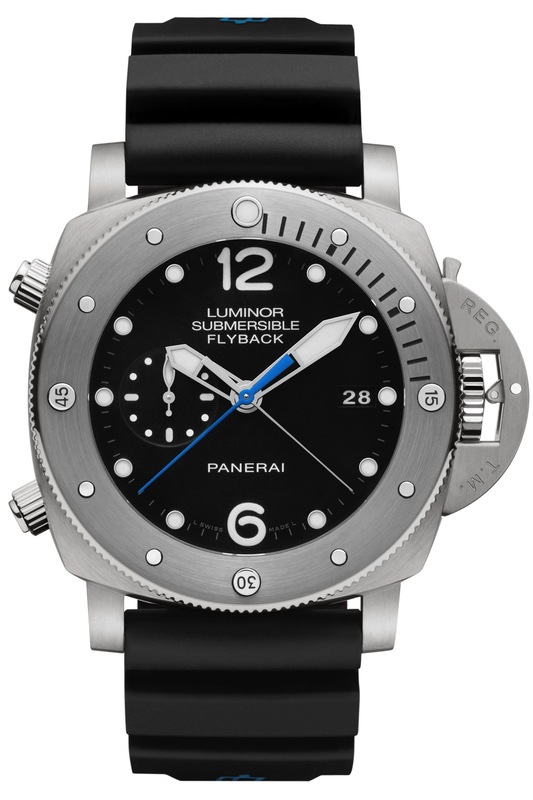 The PAM614 features a brushed titanium bezel where as the PAM615 features a black ceramic bezel. Both the PAM614 and PAM615 feature the P.9001 calibre which was the first automatic chronograph movement developed and made in the Panerai manufacture in Neuchatel. 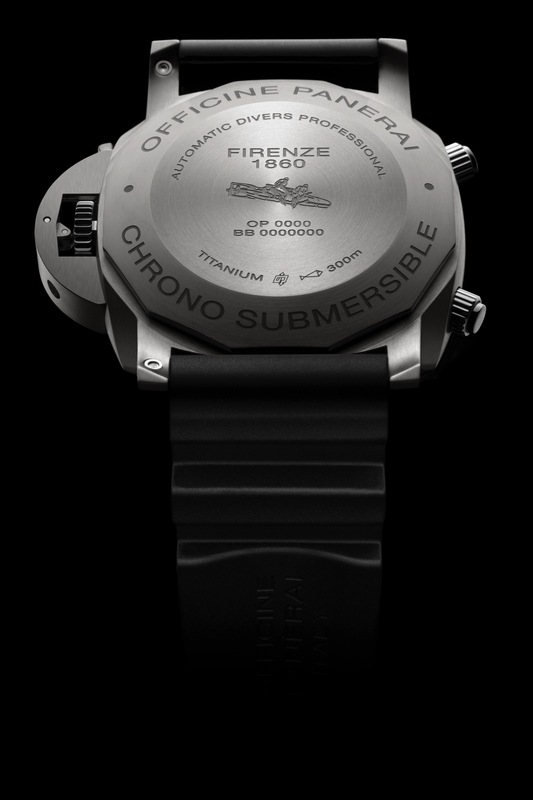 The movement is sealed with a titanium case back featuring the words “Firenze 1860” and the iconic torpedo riders engraved in it. 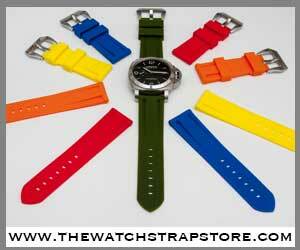 The rubber diving straps that come with both of these models, much like the Carbontech model has the OP logo in blue. 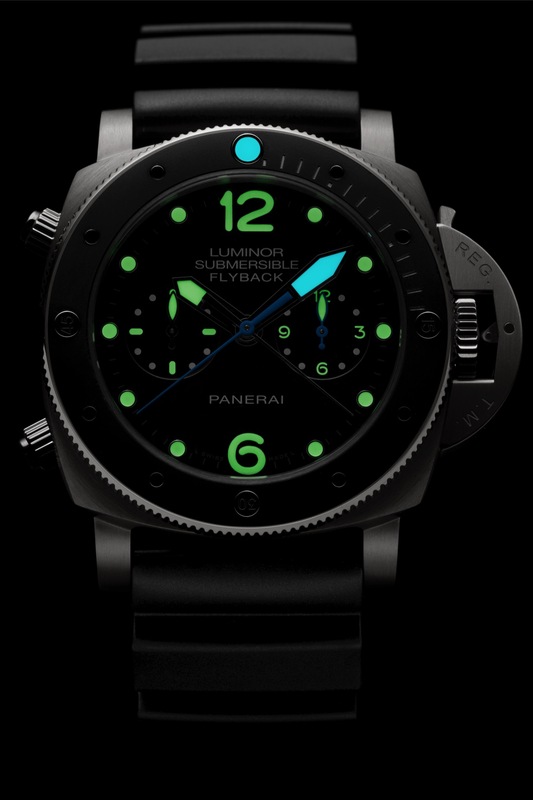 This color choice is the first time they have ever done such a thing and I think it compliments the watch nicely given the blue hands of the flyback. 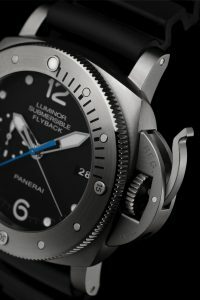 If I had a gun to my head and had to chose only one of these models to add to my lineup, I think I would go with the PAM615. I think the combination of the ceramic bezel and hour indicators for the chrono really round out the watch nicely. 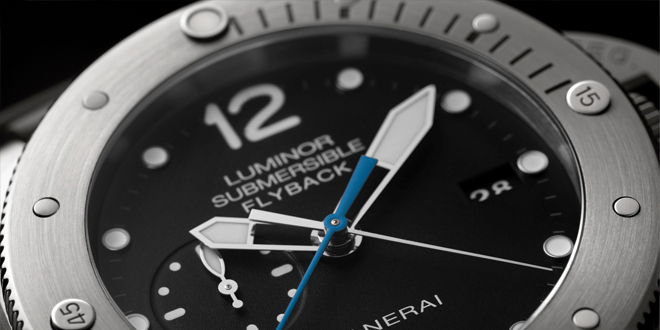 Granted you probably won’t have your chrono running long enough to use the hour markers but that extra blue hand really does look stunning. 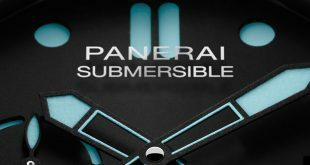 Then again I have an obsession when it comes to blue hands and Panerai, so I might just be a biased. 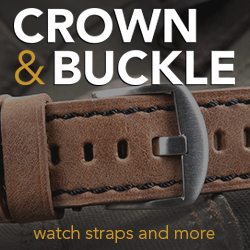 I don’t think you could really go wrong with either one at the end of the day.